For the past 6 years since 2010, we have realized that EVO Mail Server nevertheless cannot draw an equal sign to Microsoft Exchange Server. With EVO Mail Server alone, our customers equipped with Microsoft Outlook are able to use SMTP/POP3/IMAP for mail services only. To those who prefer using Outlook Contacts, Calendars, and Tasks for collaboration purposes, they can do nothing but starring at these cloud-based features. Even though iPhone, Android and Thunderbird do support synchronizations with EVO’s CardDAV and CalDAV, this collaboration feature only applies to a smaller group of users other than the large Outlook population. Since early 2014, EVO R&D team has released EVO Collaboratior for Outlook (ECO). The most current release is fully compatible with Microsoft Outlook 2007-2016. Outlook users will be able to experience convenience that collaboration services integrated with CardDAV and CalDAV of EVO Mail Server Prime Edition offers. From now on, Outlook users are able to synchronize their Contacts, Calendars and Tasks with EVO’s CardDAV and CalDAV services. 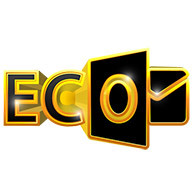 Moreover, ECO also enables Outlook to synchronize with services such as iCloud, fruux, Yahoo! and AOL, and many more. You can check a wide range of compatible services here at bottom. Why major enterprise corporations love Outlook and Exchange Server? On this platform, the way users manage their Mails, Contacts, Calendars and Tasks migrates from a stand-alone environment to a cloud-based circuitry. It means users are able to communicate and interchange information with each other. The most valuable benefit for end-users is the nature of cross-platforms and cross-devices. For example, when you add a contact on your desktop PC, your iPhone will show the newly added contact almost instantly. Here comes another example: when your colleague is meeting a customer and arrange an appointment on his smartphone, this appointment has already been synchronized onto his Outlook Calendar automatically even before he makes it to office. How do Outlook and Exchange pair up to achieve collaboration services? The collaboration platform of Outlook and Exchange Server is leading the industry for the services that it provides in most of the Fortune 500. Microsoft’s proprietary MAPI and EAS protocols seamlessly hook up mail clients such as Outlook and iPhone with Microsoft Exchange Server. Client devices or applications are able to communicate through a cross-platforms information relay. At the same time, end-users are able to exchange information more than just email messages, such as appointments and tasks and etc. End-user’s Outlook Contacts is maintained by Exchange Server and can be downloaded to client’s Outlook with periodic updates. End-user maintains his own Outlook Calendars, which will be synchronized up to Exchange Server so that other colleagues may check for this user’s availability for an appointment arrangement. Colleagues can update their Tasks progress to Exchange Server on a daily basis so that their supervisors may browse what is done and what is not. Employees write down their own Outlook Journals that reflect the actual work progress. This is a valuable piece of information for quarterly or annual review for better performance in the future. From what is listed above, we understand both Exchange Server’s high cost as well as the convenience and efficiency for daily running business. However, for small and medium business, their boss may worry a bit about the high TCO. For those who cannot afford Exchange Server solution, EVO provides an affordable option that makes their Outlook users smile with on-cloud Contacts, Calendars and Tasks. Download the most updated company contact list from ECA’s CardDAV service. At the same time, users are able to upload their own Outlook Contacts to EVO for cloud backup purposes. Arrange their Outlook Calendars and Tasks that are synchronized to ECA’s CalDAV service. Obtain the most updated Outlook Contacts, Calendars and Tasks from cloud to computers or mobile devices anywhere anytime. Browse others’ Outlook Calendars and Tasks for further collaboration needs. Arrange a meeting invitation or task dispatch through an email message. Set date and time on Outlook Calendars and/or Tasks as alarm clocks that will reflect on their mobile devices wherever they go.